This post was first published by Croydon Advertiser on 13/12/2018. But leader Tony Newman admits exiting the EU could have a ‘huge impact’. Croydon Council will help fund its employees from the EU in their bid to stay in the UK after Brexit. The authority will pay the application fee for council workers earning less than £35,000 and their partners and children seeking settled status in the UK. 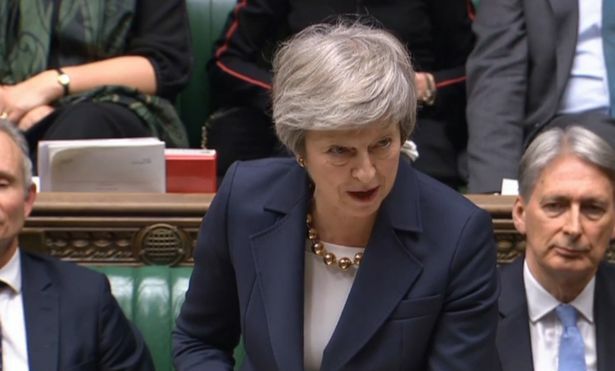 The move was spelled out in a paper called ‘Brexit preparations for Croydon‘ that was discussed at a meeting on Monday night, the same day Theresa May called off an MPs vote on the Brexit deal. The cabinet heard Brexit could have a “huge impact” on the borough. Council leader, Cllr Tony Newman, said: “We take [Brexit] very, very seriously in this council and the huge impact this potentially has on Croydon. He was damning of the government, describing current events as “Tory Brexit Chaos”. Leader of the Conservative opposition, Cllr Tim Pollard, hit back, criticising Labour. “I welcome the timely and useful paper and I think nobody knows where we will be at the end of March next year and it is important that we start a contingency plan,” he said. “What I don’t welcome is the complete absence of responsibility from your side from what you call the chaos that is unfolding. “We have a Labour party where the national leadership is completely at odds with each other about what they want. But Cllr Newman called his comments “utterly shameful”. The cabinet voted to approve the paper which also included authorising council officers making EU citizens in Croydon aware of the EU Settlement Scheme, as well as making sure people have access to support to apply for settled status.